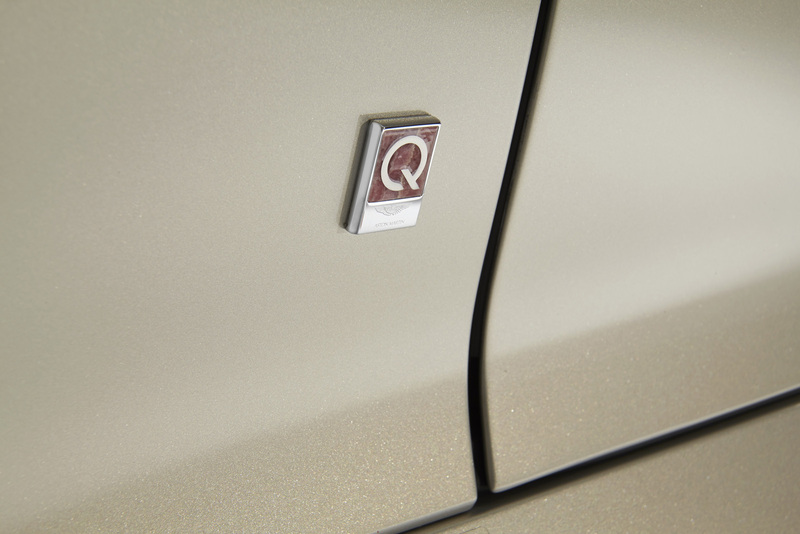 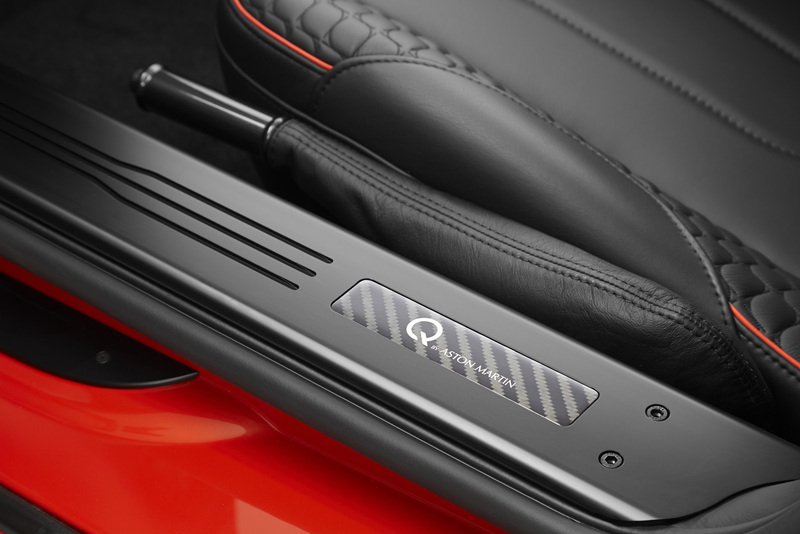 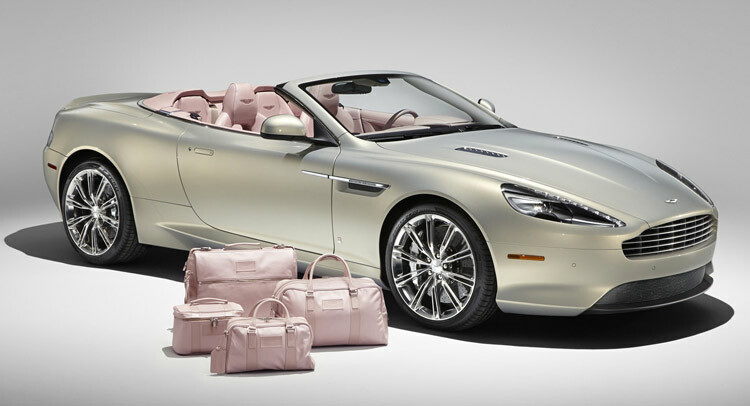 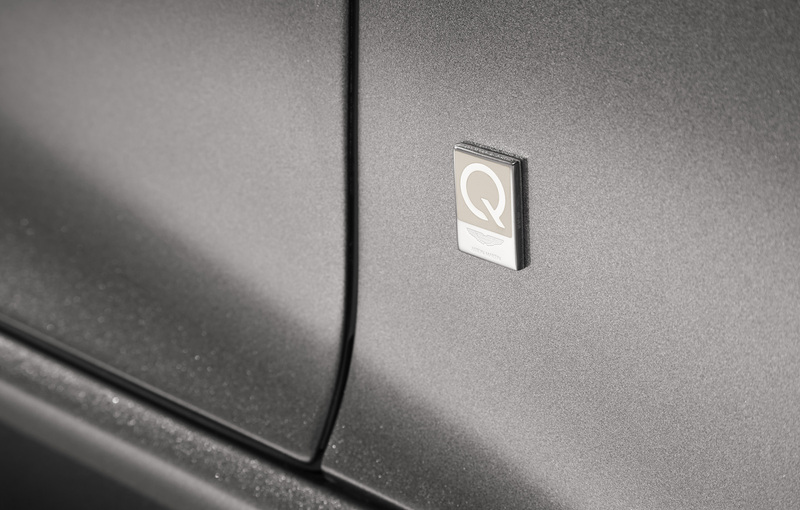 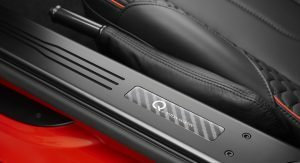 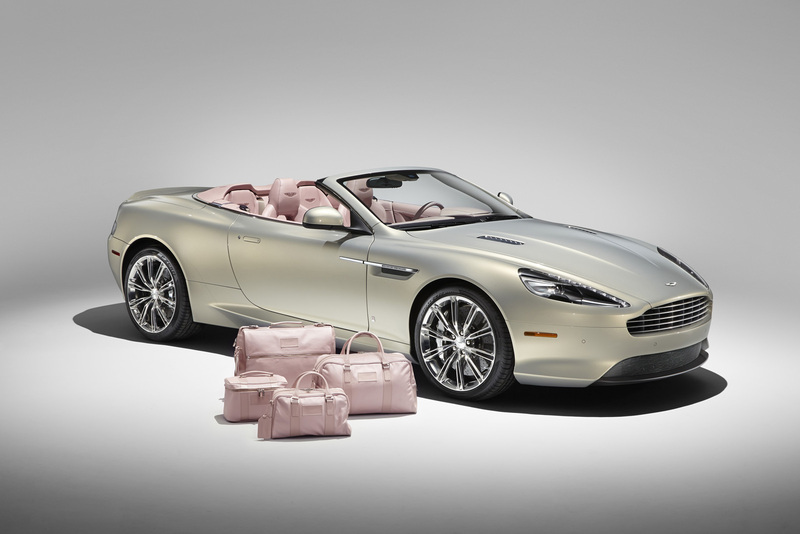 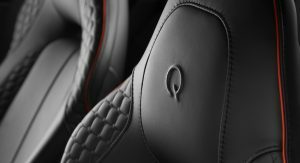 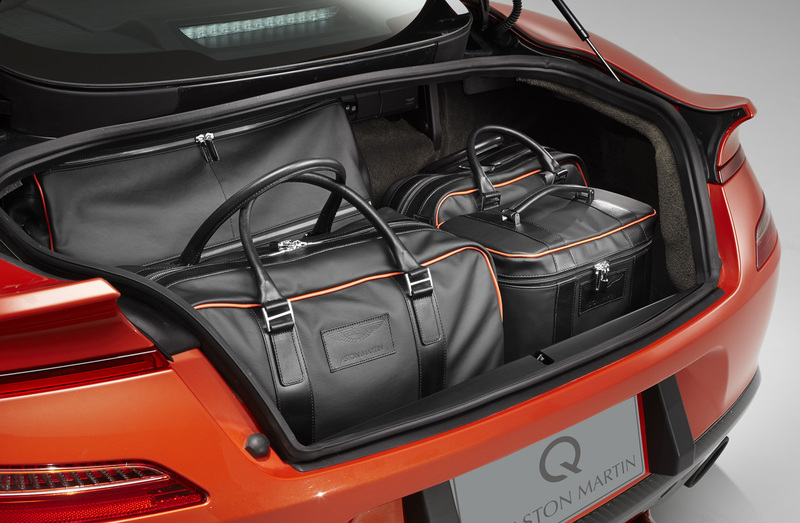 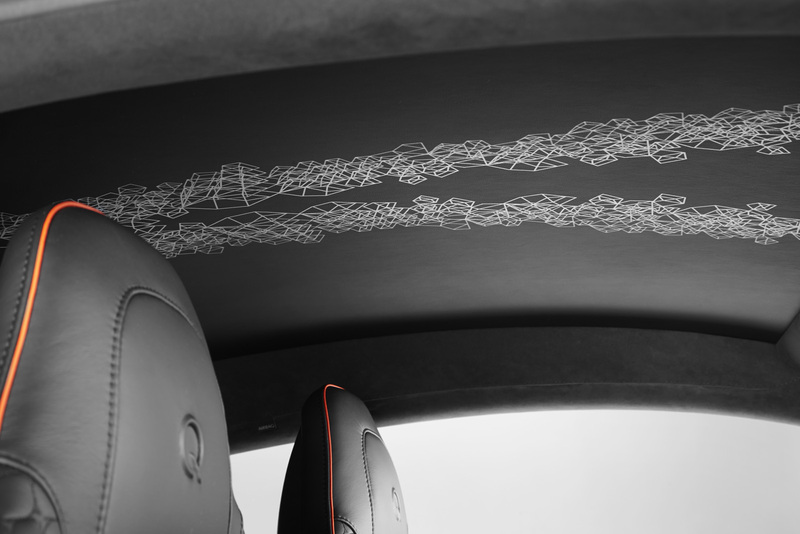 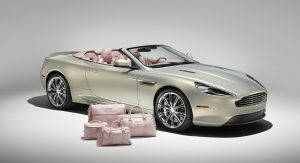 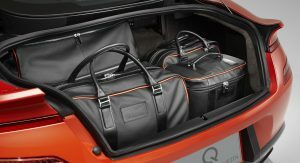 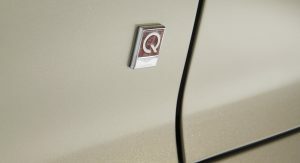 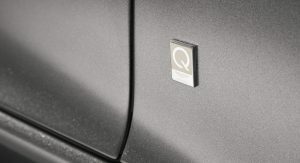 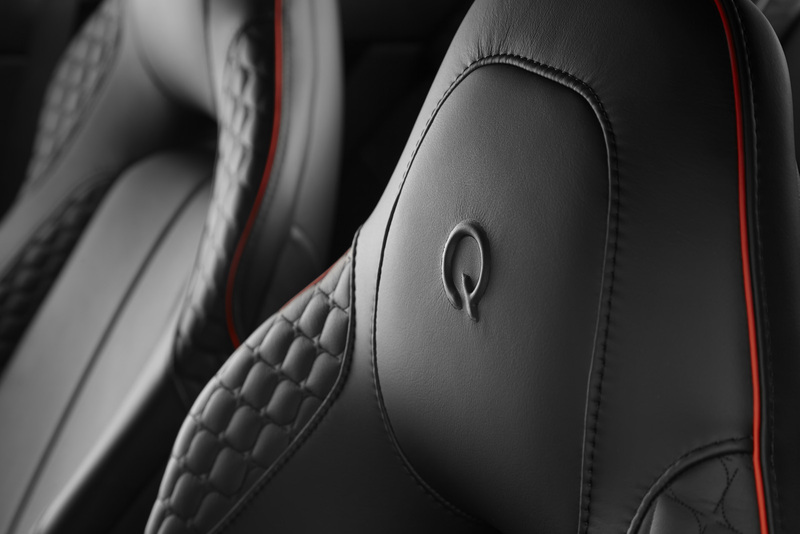 Aston Martin’s personalization service “Q by Aston Martin” will unveil a new collection of bespoke cars at the Pebble Beach Automotive Week. 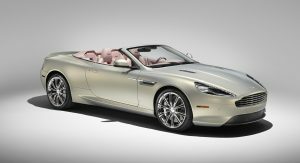 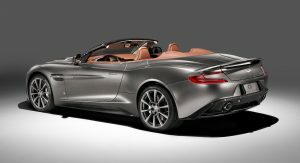 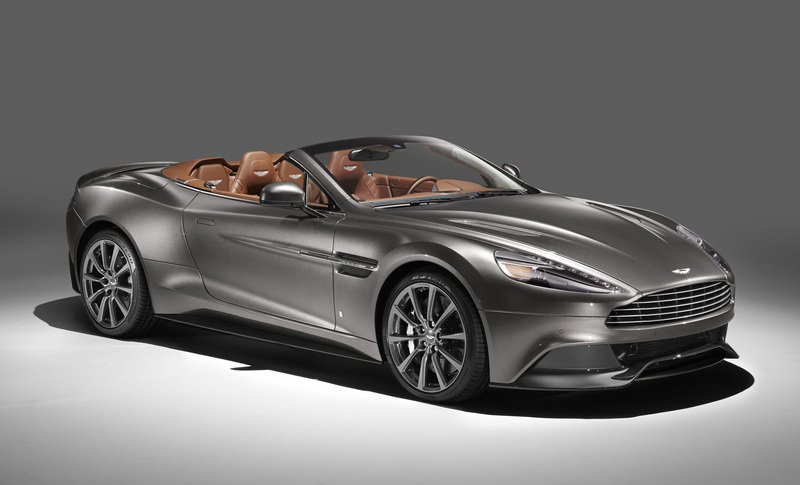 Four new Q by Aston Martin designs commissioned by LA-based dealer Galpin Aston Martin will be on display, based on the DB9 Volante, V12 Vantage S, Vanquish Coupe and Vanquish Volante. 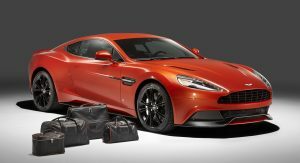 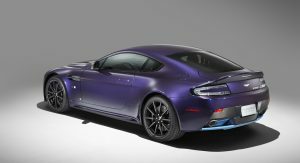 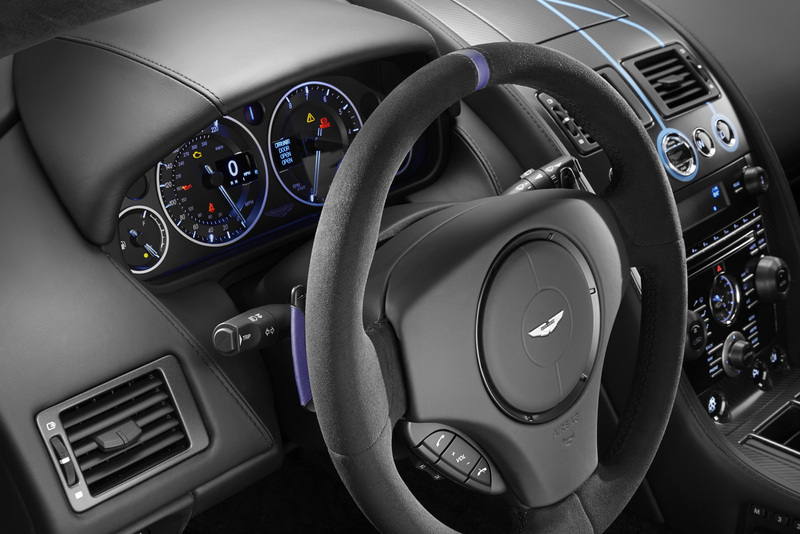 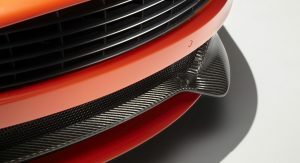 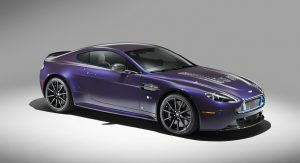 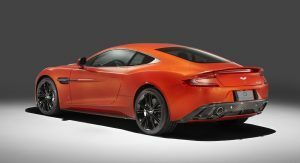 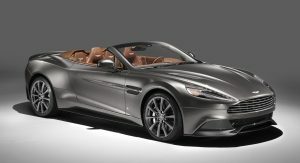 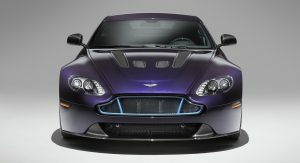 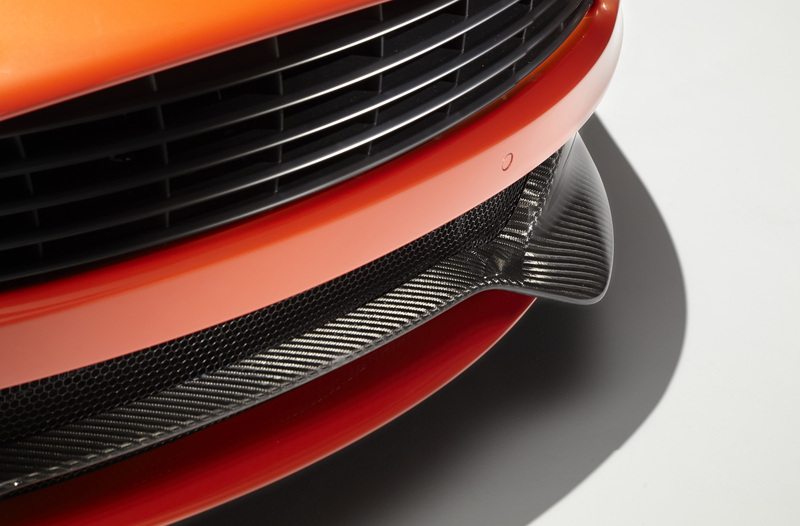 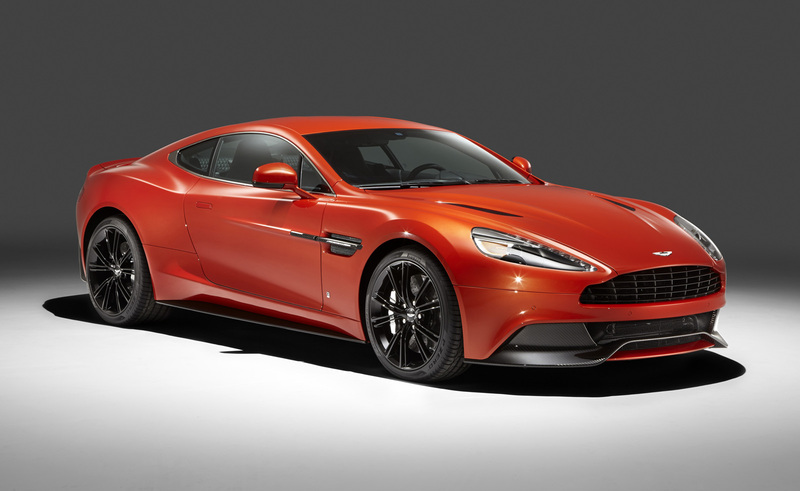 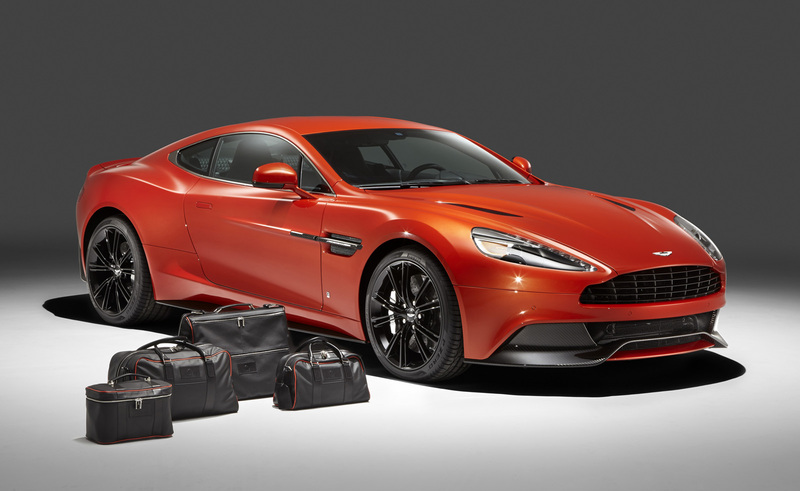 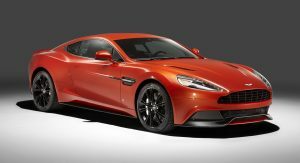 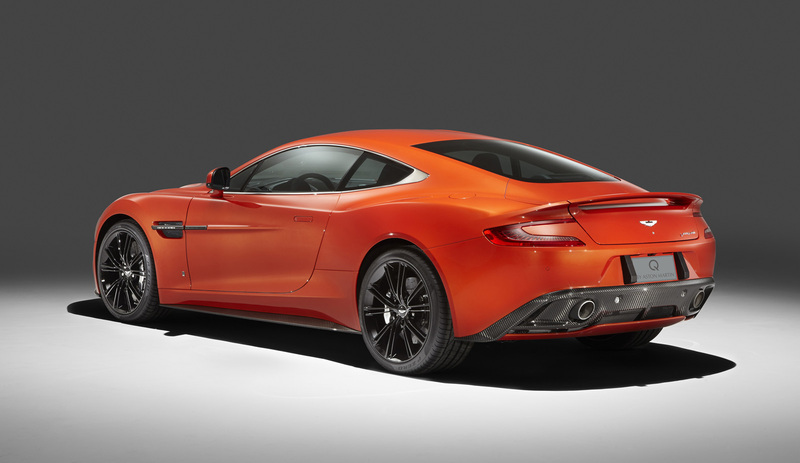 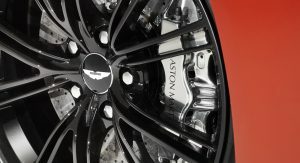 The Q by Aston Martin Vanquish Coupe features strong colors and an enlarged carbon fiber weave structure. 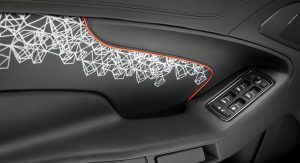 The Abor Orange paint with a shimmering pearl effect contrasts with the carbon fiber parts, while the Obsidian Black leather interior has printed segments in a design called “Helix”, inspired by a carbon molecule helix. 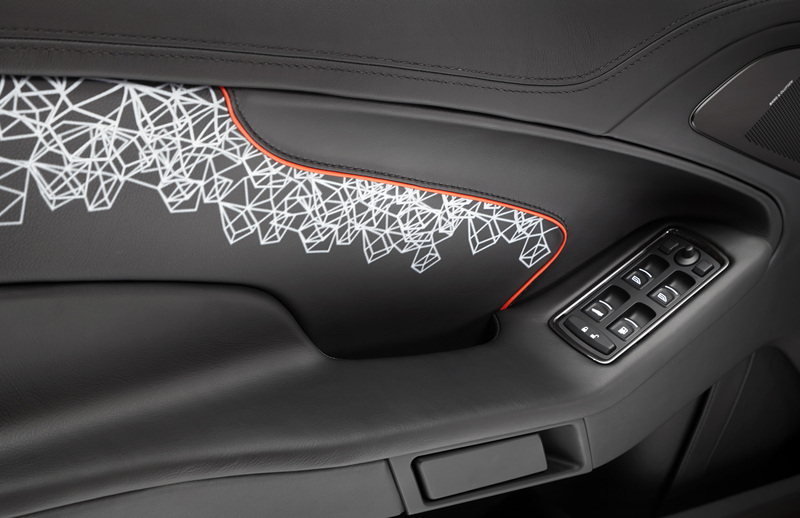 The Helix print crosses the leather headliner panel and can be found on the door panels as well. 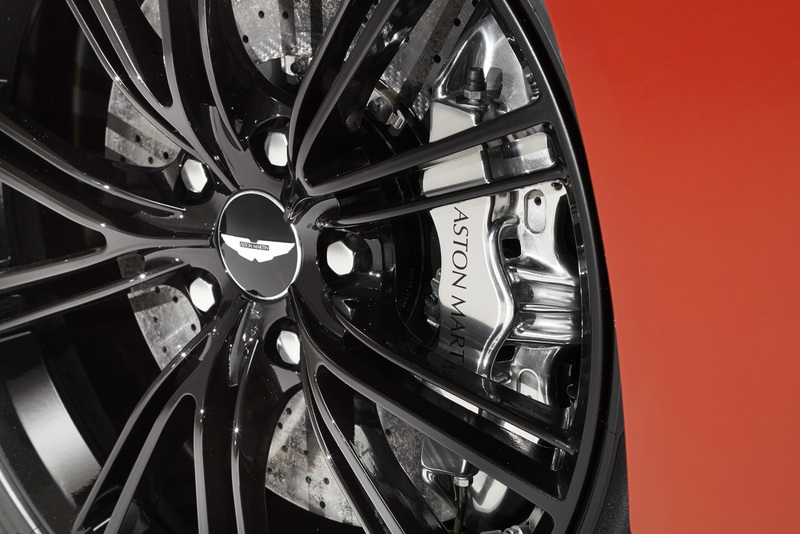 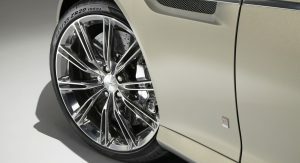 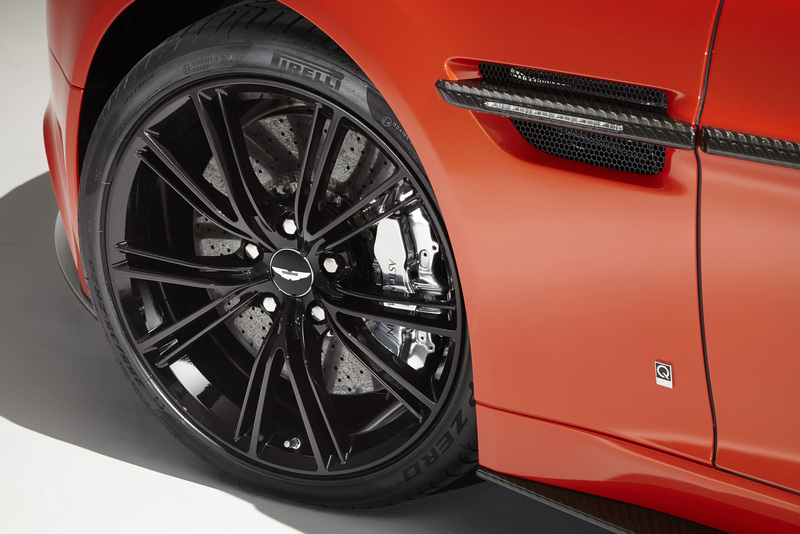 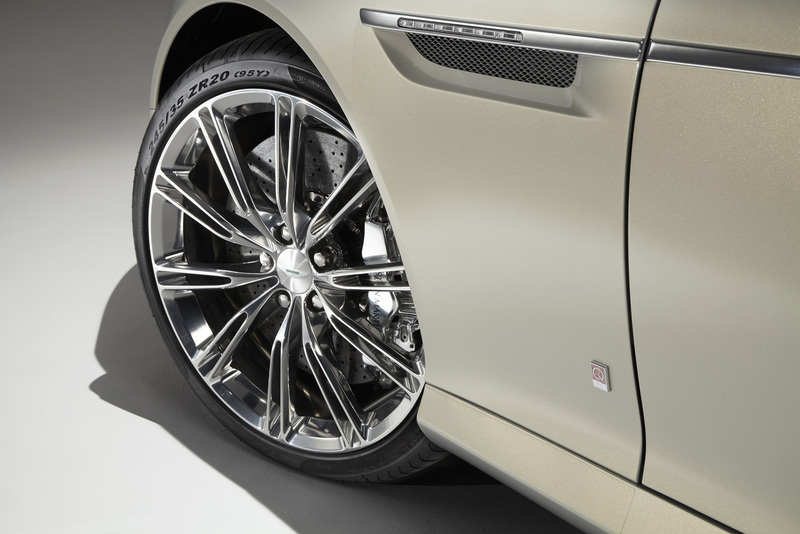 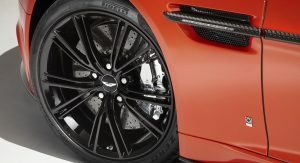 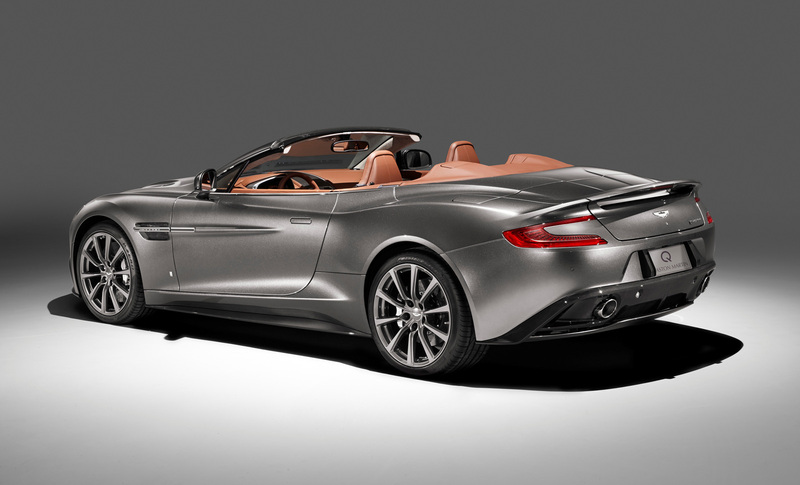 The second Vanquish bespoke model is a Volante painted Frosted Silver riding on graphite-finished 10-spoke alloy wheels with classically styled polished calipers in Solid Sterling Silver, the same color sported by the Aston Martin wings and Q badges. 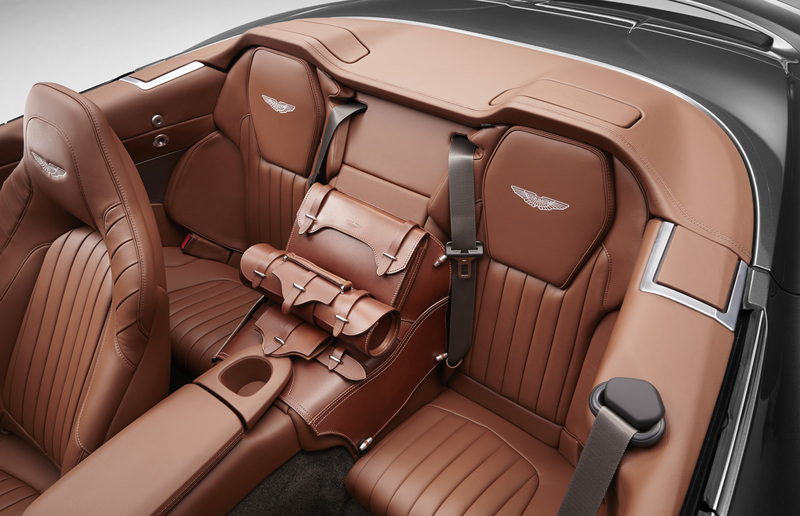 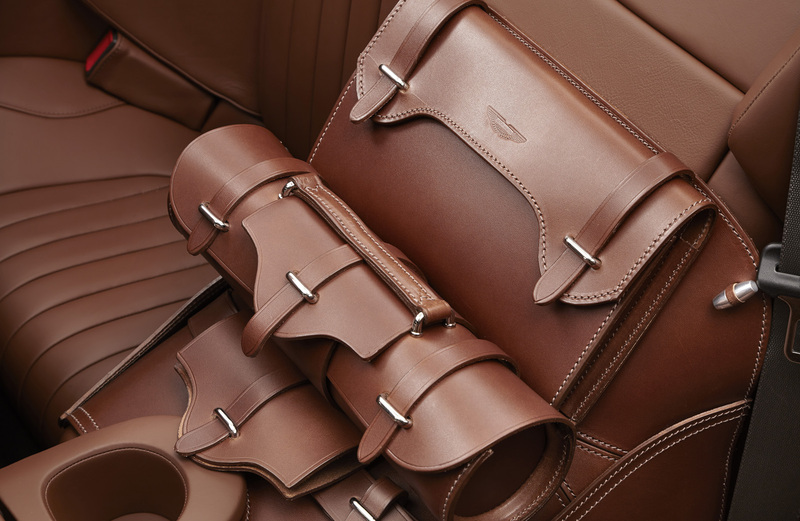 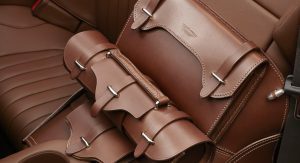 The interior features classic Chestnut Tan leather, with the fluted seat pattern paired with horse saddle leather. 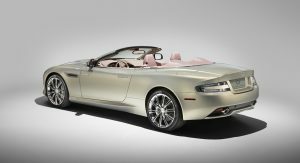 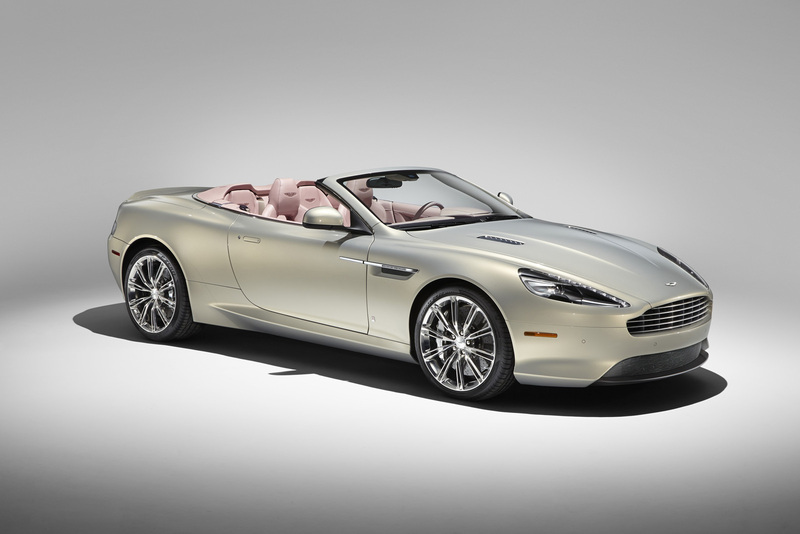 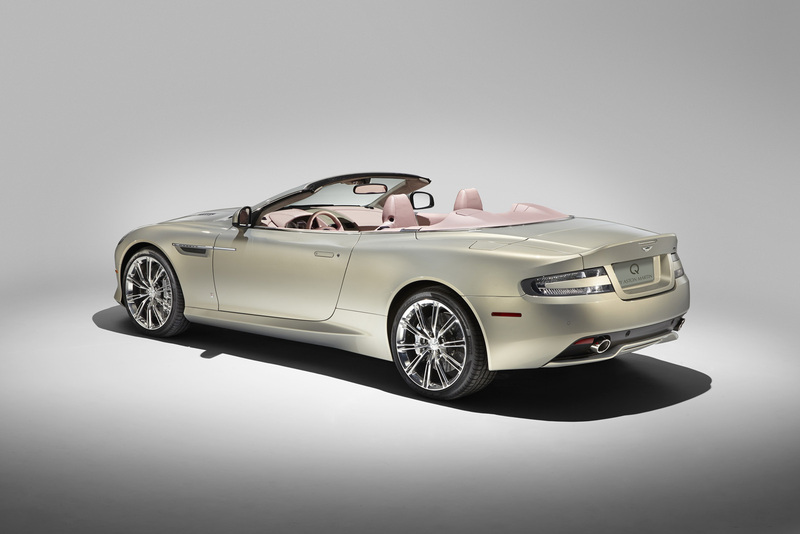 The Q by Aston Martin DB9 Volante sports probably the most controversial color combination: an Ashen Blonde exterior with polished alloy wheels paired to a blush pearl leather interior (which looks very much like pink to me). 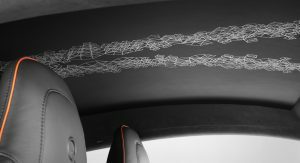 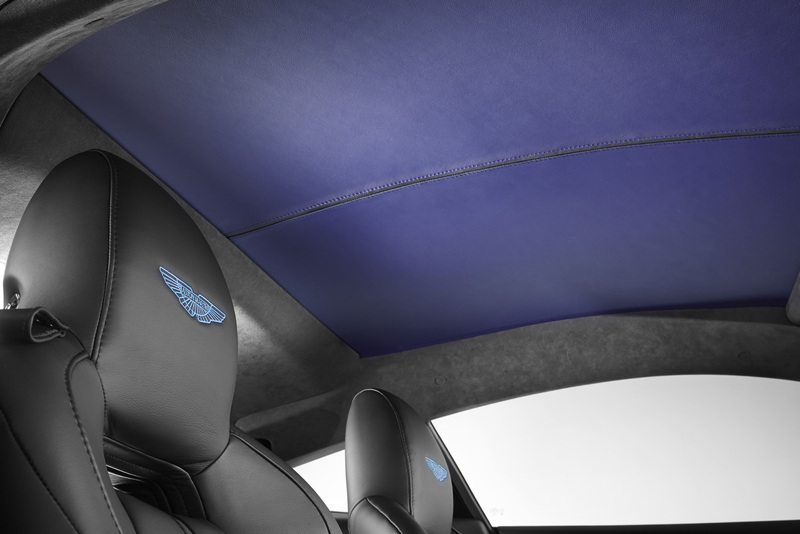 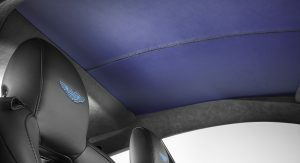 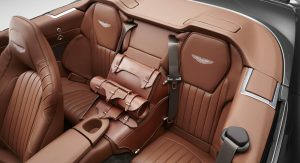 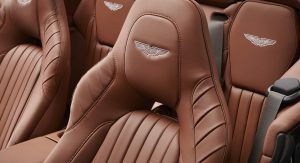 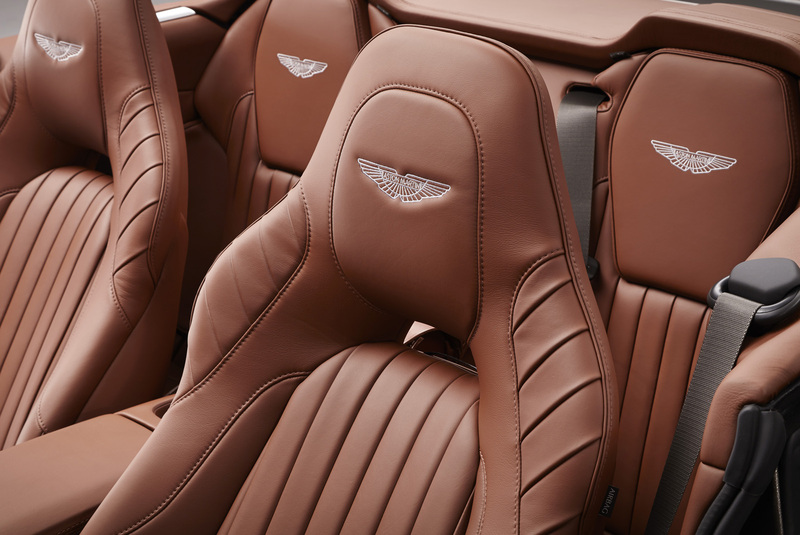 Aston Martin says the Piano Ice Mocha fascia draws inspiration from luxury furniture, as does the blanket stitch that runs the length of the central spine of the interior. 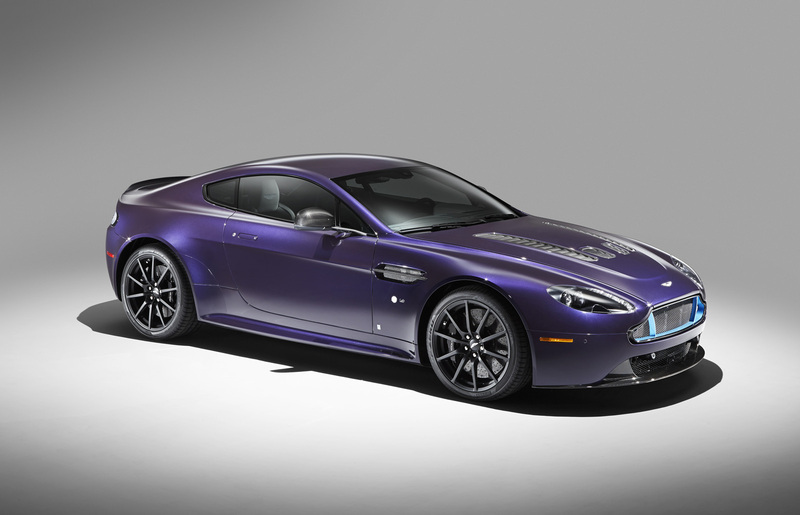 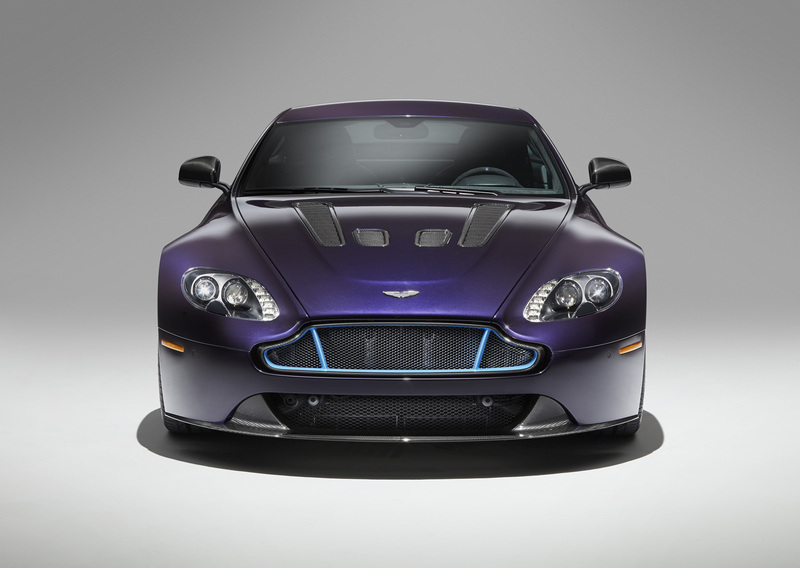 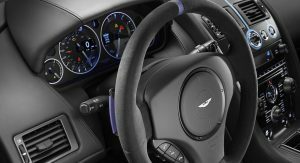 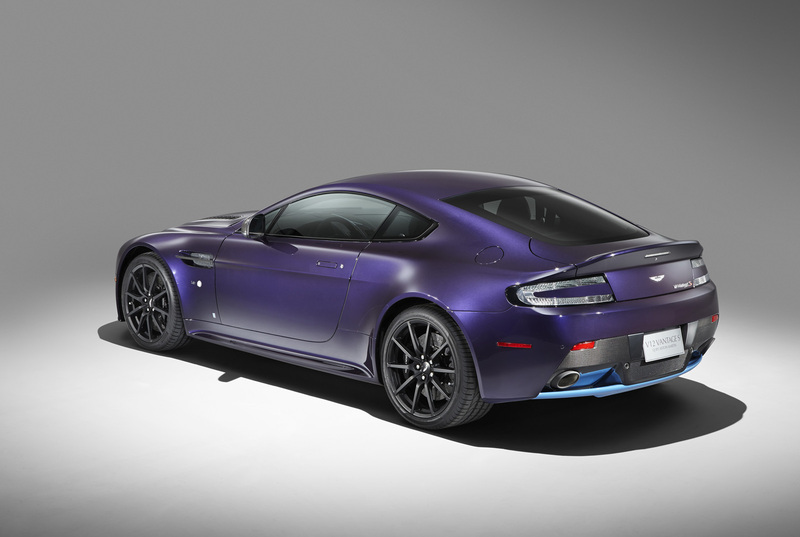 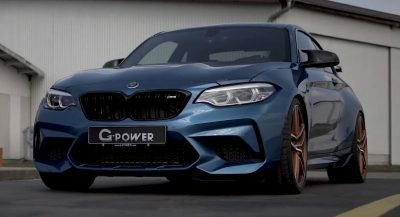 Finally, the Q by Aston Martin V12 Vantage S combines a purple amethyst exterior paint with contrasting bright painted Monterey Pearl front grille and rear diffuser. 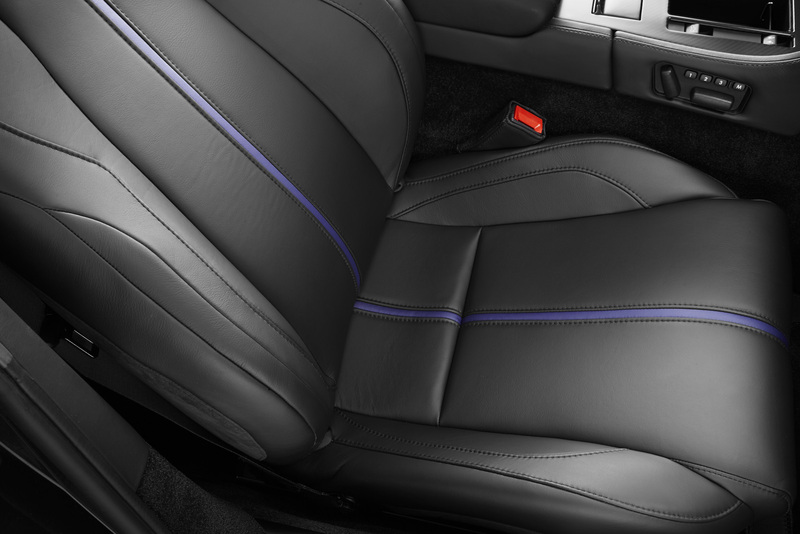 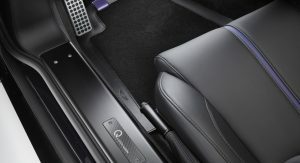 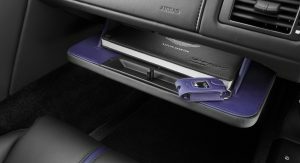 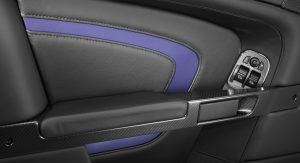 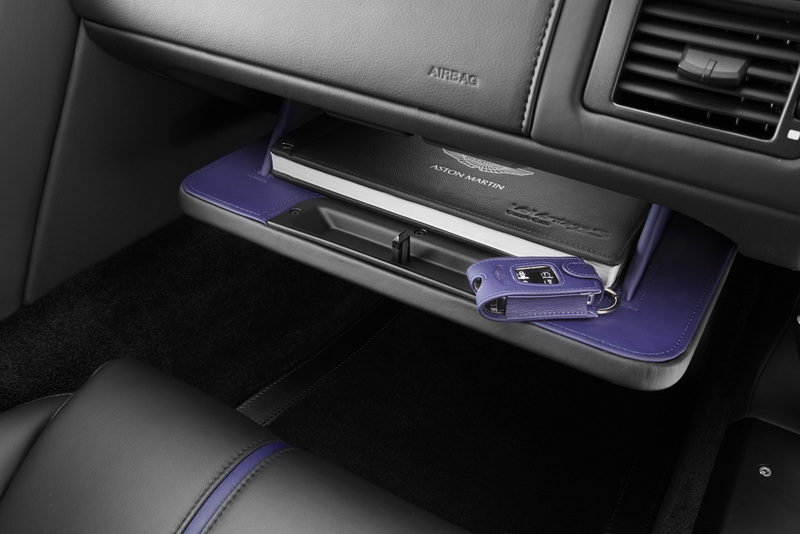 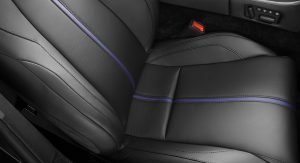 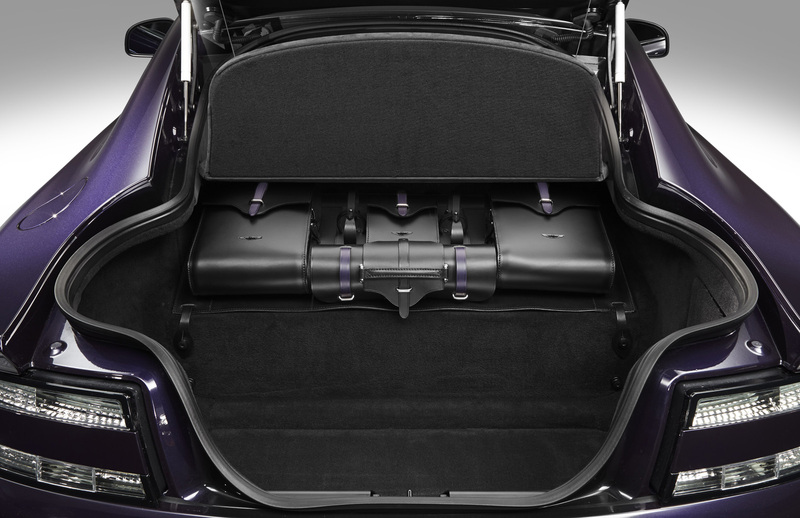 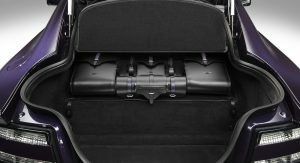 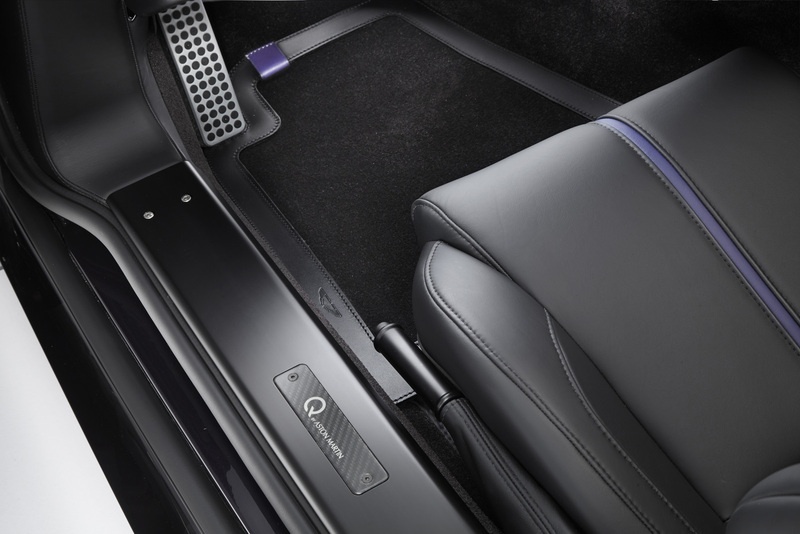 The Obsidian Black interior features Vivid Purple leather details on the seats, headliner, steering wheel and glove box lining. 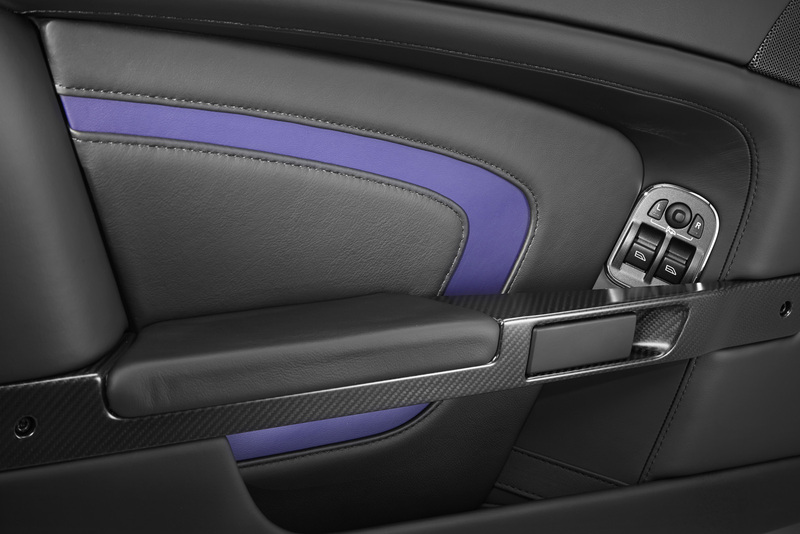 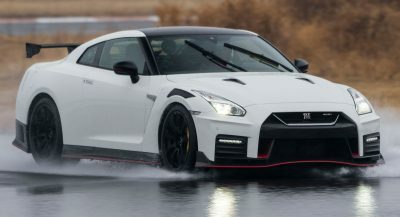 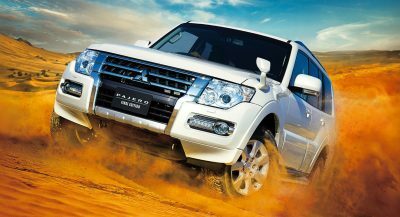 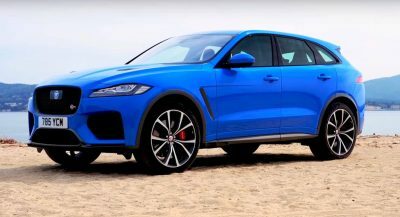 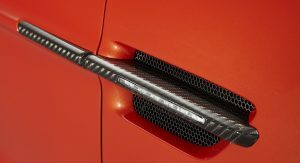 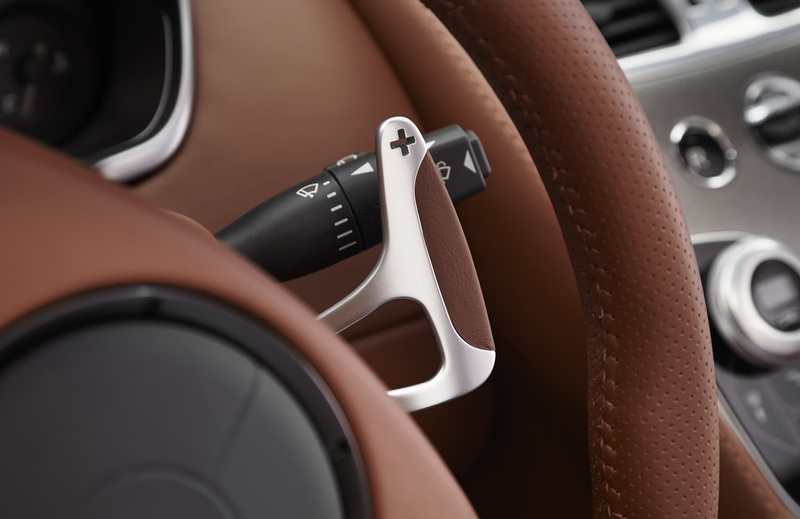 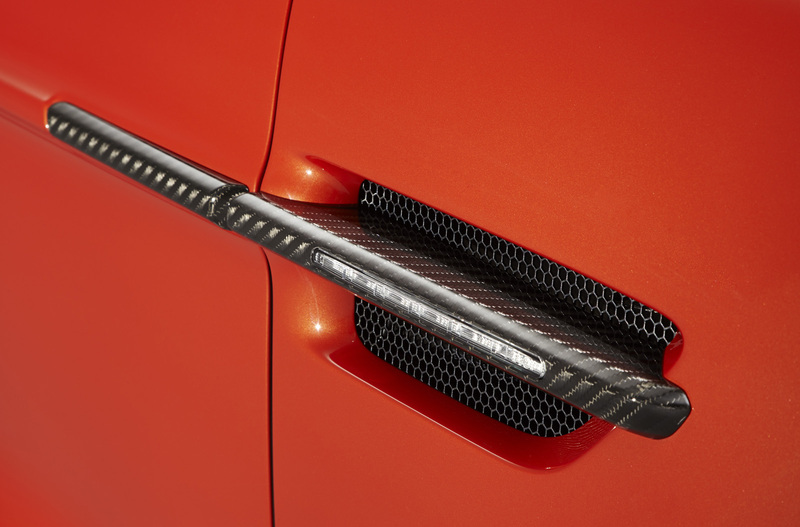 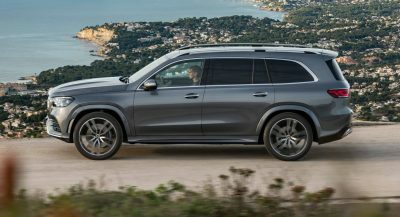 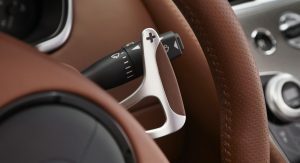 The cabin also includes a series of special carbon fiber details such as the rotary controls.